What is the length of a continuously replayed part of video? As we mentioned in our previous post, we filter out continuously replayed segments (views) shorter than a magic length. So let us talk a bit about this magic length. We are monitoring which part of video is being played. Each time you seek in video, click on a slide or follow a search result, you start to replay a new segment of video. As you can see, there are 4 segments. First, the user started to watch the video from the beginning. After a while, he found it probably boring, so he jumped a little bit further. 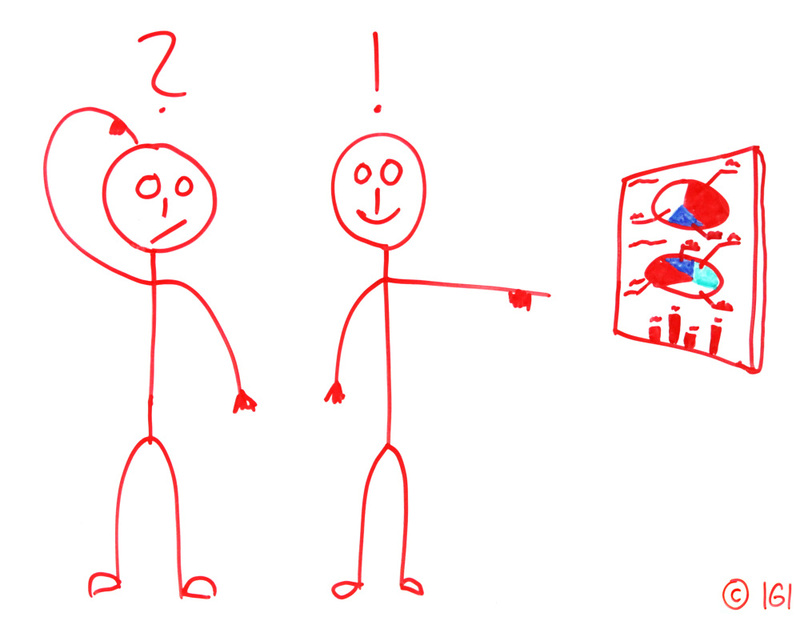 Then, he went through slides and found one interesting slide, so he clicked on it and jumped into the last quarter of the video. Finally, an interesting keyword came to his mind, so he searched for it and found an occurrence of the keyword in this video. He jumped to that part of the video where the keyword was spoken and watched for a while. After a month of development, we release playback and traffic statistics that SuperLectures.com is continuously collecting. Unlike common video servers (YouTube, Vimeo), SuperLectures.com provides you with detailed video statistics (similarly to Wistia). 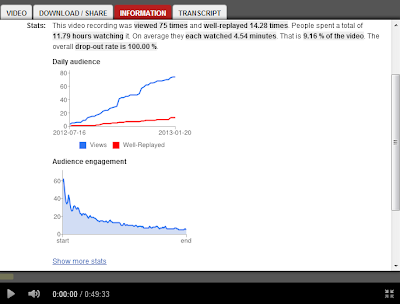 SuperLectures.com reveals how much users get engaged while watching video recordings. Before we start describing numbers and charts, we would like to get you acquainted with events we are monitoring. 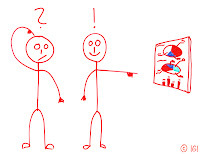 Our aim was to build a system collecting information about every important action that users perform while using SuperLectures.com. These are events like when users start/stop watching the video, seek to a different time, replay a video part, click on a slide/link and many others. Having acquired a substantial amount of data, we have decided to build stats pages showing how users watch any video. To display nice interactive charts, we used very powerful Google Charts Tools. To see only basic stats data, you can switch to the information tab in our multimedia player. Below stats information text and graphs, there is a link for more complex data and interactive charts.